The Food Safety Commissioner Punjab in a letter to all the Food Safety Teams has directed them to spread awareness amongst traders that the fruits and vegetables should not be sold in the market with stickers pasted on them.Giving details, Commissioner KS Pannu informed that the use of stickers on food products to provide information on traceability, grades, price etc. is a common practice across the globe. But, a lot of times these stickers are applied directly on food sources such as on fruits and vegetables. Apples, kiwis, mangoes, oranges, banana, pears and bell peppers are some common fruits and vegetables which have stickers applied directly on the surfaces. However, it is observed that in Punjab “traders use stickers to make their product look premium or sometimes to hide any defect on the product. “Tested Ok”, “Good Quality” or “Name of Product” are some common terms mentioned on the stickers which do not have any significance at all,” said he. A wide variety of adhesives are used on these stickers to paste them effectively. Safety of these is not known. Studies show that substances like surfactants used in adhesives are toxic.People generally remove stickers from fruits or vegetables and consume without thinking about residues of adhesives present on them. Heat from sunlight on the fresh fruits and vegetables sold in open market also increase the migration of harmful chemicals from adhesives into fruits. 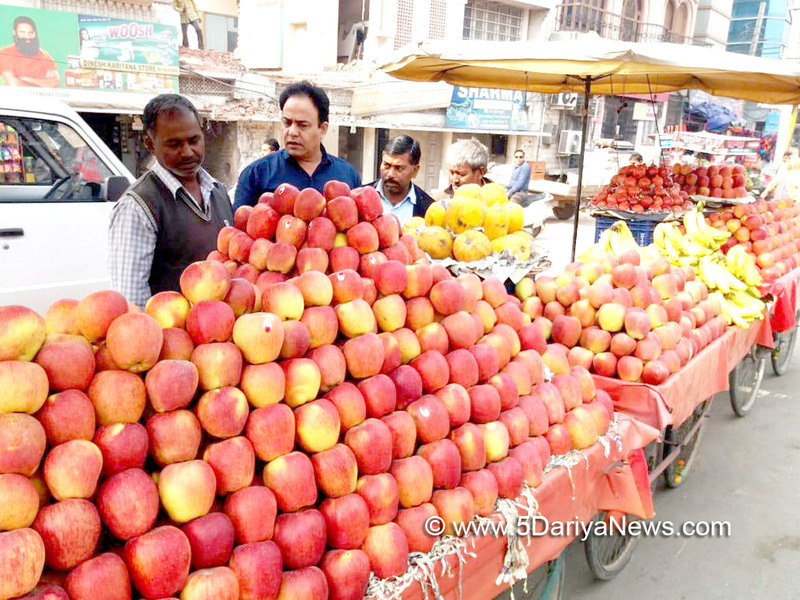 Risk of consuming this is high in case of fruits or vegetables with skin, said he.The Food Safety Teams have been directed to check the sale of such fruits and vegetables as well as make the traders aware of the provisions the Food Safety and Standards Act, 2006 as per which no food business operator shall store, sell or distribute any article of food which is unsafe. The teams have also been advised to inform the traders that “in case a sticker is must to provide relevant information like grade, price or barcode as in case of sales in supermarkets then stickers or labels should not be put directly on fruits and vegetables rather a functional barrier like a safe transparent thin film may be used and sticker should be pasted on them. The ink used on the stickers must be food grade quality and must not migrate into food.”Giving a word of caution to the consumers, Mr. Pannu said that fruits and vegetables with stickers are not necessarily of premium quality. Consumers must check the quality before buying them. Reiterating the FSSAI advisory issued in this context he said that stickers should be removed before consumption of fruits and vegetables. To prevent consuming residues of adhesives, consumers must peel or cut the skin of fruits and vegetables where the sticker was applied and wash the fruits and vegetables properly with water before consumption.